Kombucha is a tea-based, probiotic drink that boasts the ability to regulate digestion, fight inflammation, and support a healthy immune system. Referred to as the “elixir of life”, Kombucha is one of the most desired beverages on the health-food market right now. “Brewers” of this tea tonic boast a laundry list of benefits from the carbonated drink. Some of the most noteworthy claims include aid in digestion, detoxification, cancer prevention, and enhanced liver functioning. 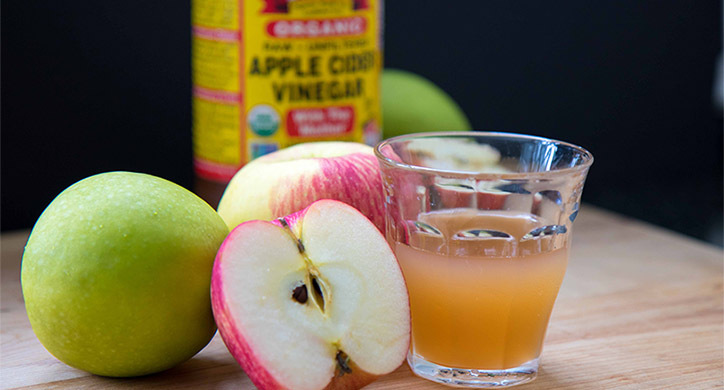 Furthermore, a few of our D2D readers are convinced that it keeps them healthy during the cold and flu season, too. But are any of these claims credible? Kombucha has been brewed since 200 B.C. According to a review on the microbiology of kombucha, the fourth imperial Dynasty of China (Tsin Dynasty) first used kombucha for its detoxifying properties. It then expanded to Japan where, in 440 A.D., it was recorded that kombucha was used to treat digestive problems. What exactly is kombucha, and how is it made? Before it is fermented to its probiotic goodness, kombucha begins with a base of green and/or black tea. Sugar is then added to the brewed tea, as well as white vinegar or previously-made kombucha, for an acidic base. 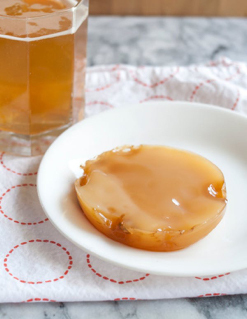 Brewing kombucha also requires a SCOBY, short for “symbiotic colony of bacteria and yeast”. According to Cultures for Health, “not all kombucha SCOBYs contain the exact same strains of bacteria and yeast, but they generally all act in a similar way to create kombucha tea. One thing all kombucha SCOBYs have in common is that they are a self-perpetuating culture. This means the SCOBY multiplies itself through the process of creating kombucha. 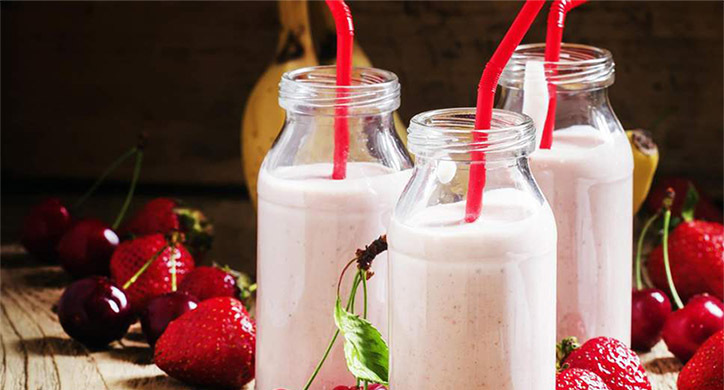 After adding all the ingredients together, the mixture is typically fermented for 10-14 days. During the fermenting period, the SCOBY multiplies itself, creating more available good bacteria. SCOBY, which is probably the most important part of the kombucha brewing process, resembles a mushroom cap and has a jelly-like consistency. Luckily, as a consumer, we do not have to drink or see this unappetizing blob! During this fermentation process, an additional SCOBY can be created from the original. The colonies of bacteria, enzymes, and tea yeast are technically “alive”— the sugar that was added to the tea mixture is actually fuel for these colonies. The second SCOBY can be used for future kombucha batches. This allows for the probiotic content of the kombucha to grow. We know what you’re probably thinking—I’m drinking a carbonated tea fungus? It’s not as appetizing as the marketing makes it seem, huh? But, luckily this SCOBY blob may hold a lot of healthy bacteria for your gut. If you are a Kombucha fan or want to give it a try, don’t be afraid of the sugar used to make it. The sugar is needed to make the yeast grow and is almost completely eliminated by the time the drink is ready. 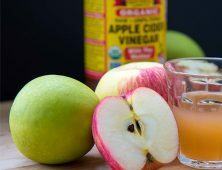 The primary source of sugar present in kombucha (which is typically only 2-3 grams for an eight-ounce serving) is actually from the cold-pressed fruit juice that is used for flavor. Just keep an eye on the sugar content to make sure you’re not buying an excessively sugary flavor! Kombucha is very high in B vitamins. The yeast from the SCOBY is high in vitamins and minerals, which contributes to the health benefits of the drink. One serving of kombucha can account for 20% of your B1, B2, B6, B3, and B12 vitamins. 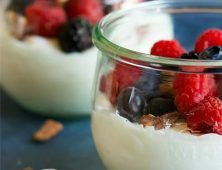 Additionally, if you consume probiotics daily, you want to be sure you feed these probiotics with prebiotics. 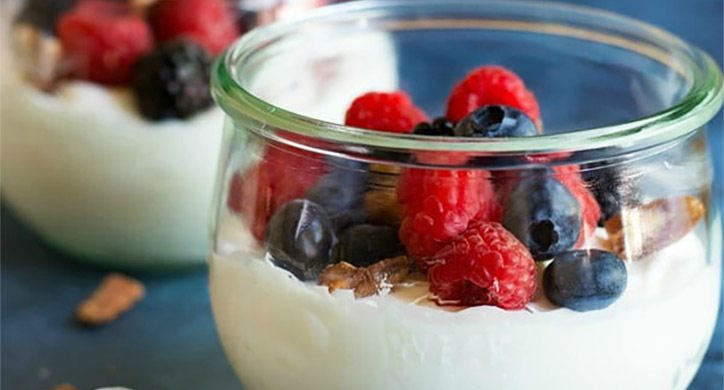 For probiotics to help your gut at their full potential, they need to eat! Probiotic bacteria actually live in your gut and must be fed to help your digestion! Prebiotics are found in many different veggies and plant-based foods. Foods with a high prebiotic content include garlic, onions, leeks, asparagus, bananas, and yams. 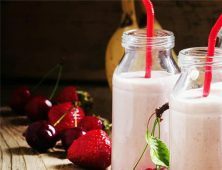 So, if you are drinking kombucha for your daily probiotics, be sure to eat these plant-based foods regularly to ensure that your probiotics are being fed properly! While kombucha is a good source of probiotics, there are many other ways to get a sufficient serving of probiotics. (And kombucha is expensive!) Yogurt, kefir, apple cider vinegar, and fermented foods like pickles and sauerkraut, are all strong sources of probiotics. Additionally, according to WebMD, there isn’t enough scientific research to determine what the appropriate serving, or dosage of kombucha at this time. But, keep in mind your average kombucha purchase will provide 2 servings per container, so you might want to keep it to 1 serving per day. We do not recommend brewing your own kombucha. Although it has been deemed “safe for human consumption” by the USDA, if you are not properly monitoring your kombucha fermentation, bad bacteria can grow, as well. Some studies have shown toxic levels of lead are present in improperly-made kombucha. For these reasons, we recommend doing your research and buying a brand you trust. What does the research say about Kombucha? According to a 2014 review, A Review on Kombucha—Microbiology, Composition, Fermentation, Beneficial Effects, Toxicity, and Tea Fungus, “there has been no evidence published to date on the biological activities of kombucha in human trials.” (Jayabalan et. al. 2014). However, there has been promising research performed in experimental models, like lab mice. The acid content of kombucha tea has demonstrated antimicrobial properties against certain pathogens. 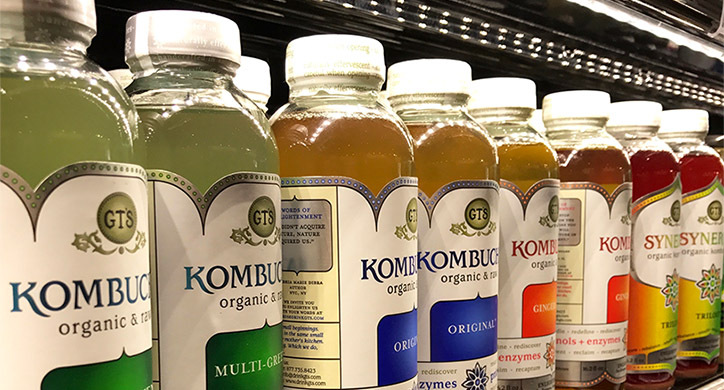 This means that drinking kombucha could help protect you against the growth of bad bacteria, like Salmonella, E. coli, and other dangerous strands. The antibiotic activity of kombucha is caused by the acetic acid, which is a product of the fermentation of the beverage. (Jayabalan et. al. 2014). Kombucha has also been studied for its antioxidant capacity. A 2008 study reported that kombucha demonstrated “excellent antioxidant abilities.” Because of the fermentation of bacteria and yeast, kombucha demonstrated free radical scavenging abilities. These antioxidant properties are attributed to the polyphenols in tea. 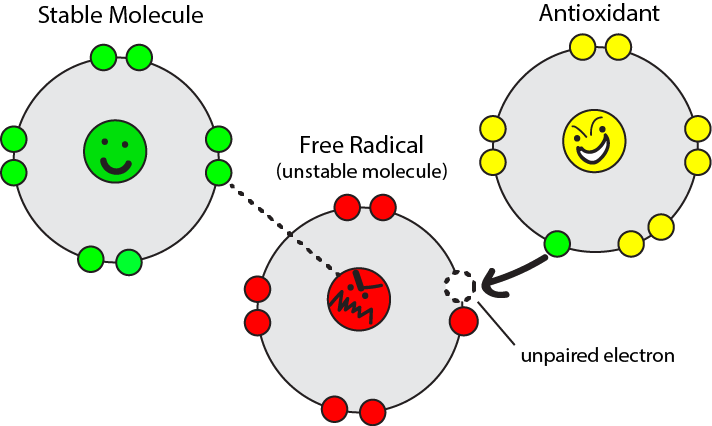 As we have previously discussed in “The Lowdown on Antioxidants,” antioxidants (like polyphenols) help stabilize free radicals. And while the ability for antioxidants to stabilize free radicals has yet to be proven in complex systems, like the human body, research on kombucha in experimental models has demonstrated positive antioxidant activities. It was also proven that an increased fermentation time of the tea allows for higher antioxidant capacity. However, when taking these findings into consideration, if a brewer increases the fermentation time by too much, it can cause harmful levels of bacteria to grow in the beverage. Should kombucha be pasteurized like other ‘raw’ products? We spoke with a nutritionist who suggested that if you are drinking pasteurized kombucha, you are missing the benefit of good bacteria. Unlike dairy, kombucha is brewed in small batches and monitored carefully, if you are purchasing from the right companies. 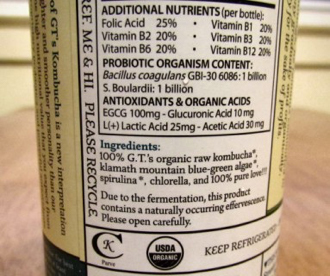 If you kill off the majority of good bacteria, there really isn’t a point to drink kombucha. However, with raw kombucha, you do run the risk of getting some bad bacteria, but you can hedge yourself if you buy it from a manufacturer that you trust and has a good safety reputation. We like brewers like Health-Ade, which brews all their kombucha in small, manageable batches. We cannot say conclusively whether or not kombucha will help aid your digestion, act as an antioxidant, or demonstrate antimicrobial activity in YOUR body. However, kombucha can be a good source of probiotics, nutritional yeast, and acetic acid. These components have demonstrated health potential in experimental models. We say to give it a try! It might be a good addition to your diet. But, do your research and make sure you are buying kombucha from a trusted brewer.